Talk about motivational books. 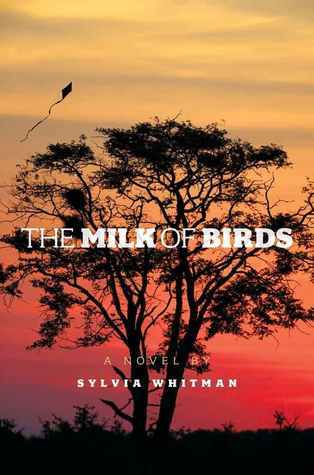 I recived The Milk of Birds (Atheneum Books for Young Readers, April 2013) as an ARC (Advance Reader's Copy) but it has since been officially published. This book has definitely been added to my Top Ten list of favorites. The best thing about it was that the characters were very well constructed. Nawra, a girl in Sudan who went through a terrible experience, is now at a refugee camp in Darfur. K.C. is a young girl in America, experiencing the transition to high school with terrible grades and being as she calls it, "a loser." These girls are paired together through a program called Save the Girls, a program that provides girls who escaped villages that were attacked with money and correspondence from a donor in America. Nawra's village is one of these. And so the story starts, a correspondence across the world. First of all, Nawra and K.C. are both such strong characters. It was great to see two main female characters who weren't waif-ish and dependent on someone else. Nawra always went through terrible situations and made the best of them, coming out stronger. And K.C., even though she struggled so hard in school and required summer school to pass eighth grade, she managed to joke and have fun with her friends and start a great movement, inspired by Nawra's situation. I can't applaud Ms. Whitman enough. One of my favorite excerpts from the book is the following. "It is gray now, no sun left behind the clouds. "You are tired, Tata?" Little Zeinab asks. "She is braver than she is tired," says Big Zeinab. "I see a lion beneath those clothes. It is my turn now to tell stories. " She speaks of her daughter's wedding, the meeting of families, the preparation of a feast. I cannot tell my ears to listen as well as my legs to walk, so the story comes and goes. But Big Zeinab's voice is a rope that I keep my hand upon as we move forward in the starless dark." (That was Nawra.) Can you see how she keeps walking, even though she is about to go through a terrible ordeal? Meanwhile, K.C., back in the States, reads what is happening to Nawra in one of her letters, starts calling her mother and they both go to Save the Girls to see what they can do. Not many people would go THAT far to help a friend. This is a glimpse of the kind of person K.C. becomes after exchanging letters with Nawra. I won't say what is happening to Nawra, but it's a big surprise! This book was amazing. It was so motivational and it actually inspired me to do something, after reading about K.C. 's work. I encourage all of you to read The Milk of Birds. It is very well written and the topics are ones that I think everyone should learn about. And who knows? Maybe after reading, you'll try to find a pen pal like Nawra.